In this study, active substances are identified for the preventive treatment of noise induced temporary (TTS) and permanent (PTS) threshold shift. The selected growth factors glial cell line-derived neurotrophic factor, erythropoietin and insulin-like growth factor-1 are examined for their potential to protect the hearing from noise trauma. Additive technologies such as 3D printing, inkjet printing, two-photon polymerization and micro-injection molding make it possible to adapt implants in shape to the individual anatomy of a patient while at the same time ensuring optimal drug loading. 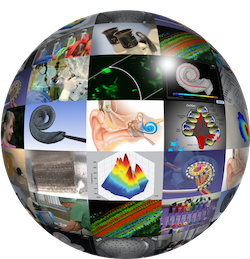 Within the scope of this project, precisely fitting implants to treat sudden sensory neural hearing loss and chronic sinusitis and customized for the patient will we developed in cooperation with project partners in Rostock, Greifswald, Leipzig and Hannover. 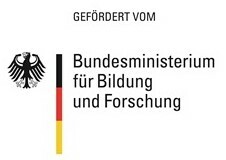 Funding: Federal Ministry of Education and Research (Bundesministerium für Bildung und Forschung, BMBF; Project: RESPONSE – Partnerschaft für Innovation in der Implantattechnologie http://www.response.uni-rostock.de/?L=1. phase II clinical trial investigating the effect of free radial scavengers and a vasodilator on the residual hearing of 140 CI-patients. The protective and regenerative effects of the neurotrophic growth factor cometin are investigated in in vitro studies using primary auditory neurons. Human versus murine protein in different concentrations are tested. Bony tissue will be processed for clearing following modified established protocolls for soft tissue clearance. The cleared tissue will be imaged using STED and protocols for automated counting of neuronal cells as well as automated detection of fibrosis quantity will be implemented. The goal is to establish a clearing protocol with following automated tissue analysis using STED in an implanted bony structure, the inner ear.